The Neos is the first summing and monitoring console based on our proprietary 120V Rail technology. 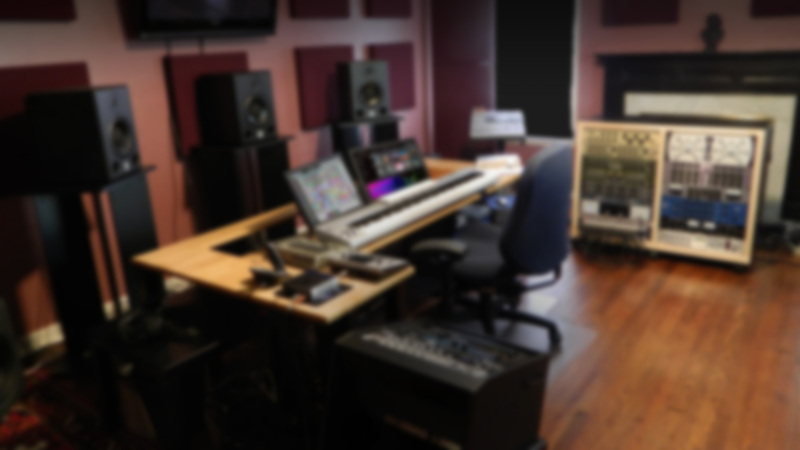 Thus, the Neos was conceived with sound engineers that set great importance on artistic and musical production in mind and whose workflow does not rely primarily on undo and preset options. Nevertheless, the compact Neos can integrate seamlessly in computer-based environments providing the characteristic high-quality sound and handling of analog devices. 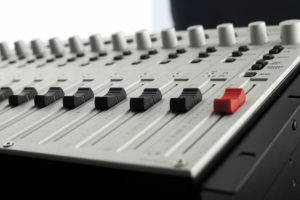 Neos is a 24 track mixer and/or summing device with stereo faders and panorama controls. 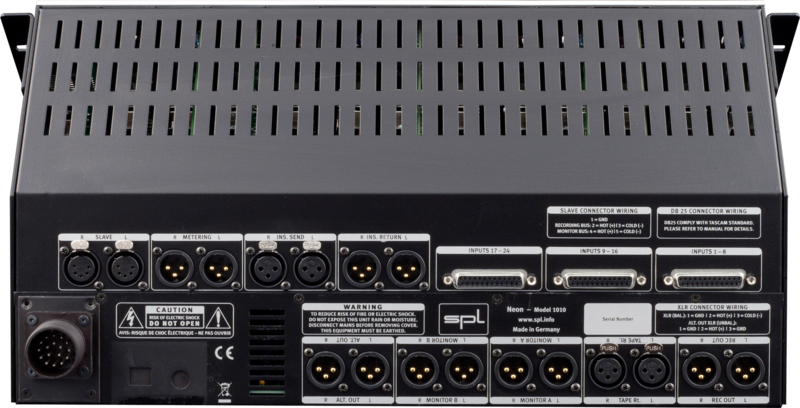 It is the first product of this kind utilizing SPL's proprietary 120V technology and thus delivers a unique sonic performance. If we consider that the basis of every circuit is directly related to a voltage/performance ratio, the operating voltage is crucial for the performance of any circuit. 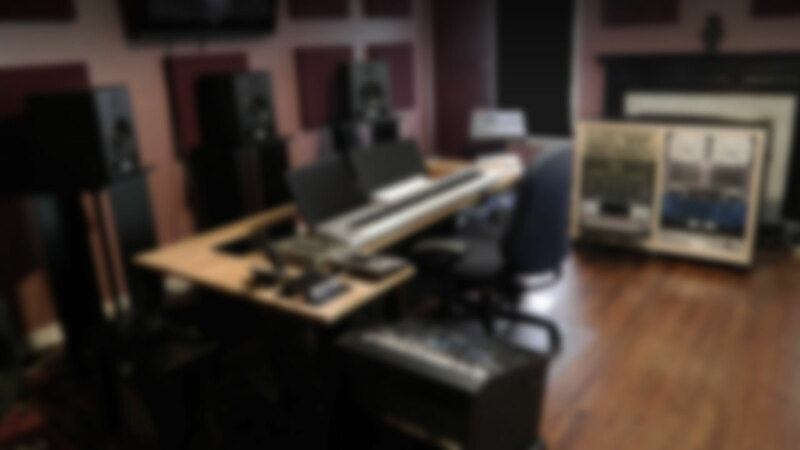 Given that audio technology is conceived to translate sound into voltage, doubling the formerly highest operating voltage available results in a great improvement, specially with regard to signal dynamics and the way they are processed. Technically speaking, a wider dynamic range also means that the gap between the actual signal and other undesired signals, such as noise and distortion, is larger — in the case of the Neos console, for example, this results in not hearing any noises at all, regardless of the situation. Unique 120-volt operating voltage. 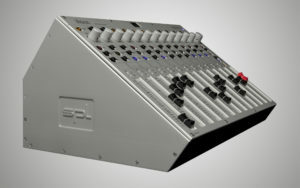 In comparison with common production mixers, the Neos mixing and monitoring console uses four times as much operating voltage. 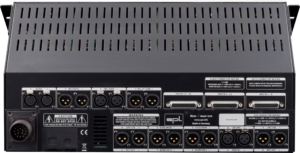 A higher voltage results in better performance: over 30 dB of headroom at the input, more than 122 dB of dynamic range, 92 dB signal-to-noise ratio over all channels. 0 dBu = 0.775 V. All measurements at unity gain.